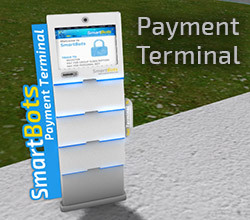 Dear SmartBots Franchisees, the Terminal has been updated to version 3.3 today. Please pick up a new device in SmartBots office since previous versions won’t accept payments anymore. You will get an automatic notification when your customers are trying to use your outdated Terminal. However, we advise to update your devices as soon as possible. The new version (v3.3) provides more accurate partner’s payments delivery scheme, as well as some minor fixes.